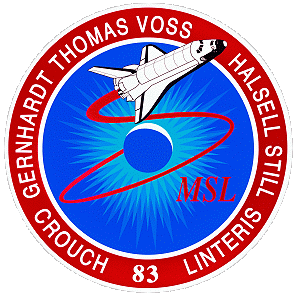 The primary payload on STS-83 was the "Microgravity Science Lab 1 (MSL)". 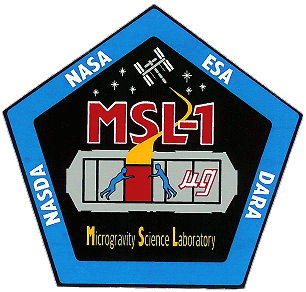 MSL was a collection of microgravity experiments housed inside a European Spacelab Long Module (LM). 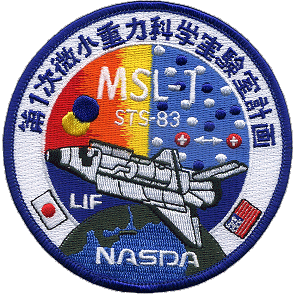 It built on the cooperative and scientific foundation of the International Microgravity Laboratory missions (IML-1 on STS-42 and IML-2 on STS-65), the United States Microgravity Laboratory missions (USML-1 on STS-50 and USML-2 on STS-73), the Japanese Spacelab mission (Spacelab-J on STS-47), the Spacelab Life and Microgravity Science Mission (LMS on STS-78) and the German Spacelab missions (D-1 on STS-61A and D-2 on STS-55). MSL featured 19 materials science investigations in 4 major facilities. These facilities were the Large Isothermal Furnace, the EXpedite the PRocessing of Experiments to the Space Station (EXPRESS) Rack, the Electromagnetic Containerless Processing Facility (TEMPUS) and the Coarsening in Solid-Liquid Mixtures (CSLM) facility, the Droplet Combustion Experiment (DCE) and the Combustion Module-1 Facility. 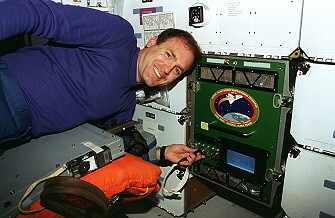 Additional technology experiments were to be performed in the Middeck Glovebox (MGBX) developed by the Marshall Space Flight Center (MSFC) and the High-Packed Digital Television (HI-PAC DTV) system was used to provide multi-channel real-time analog science video. 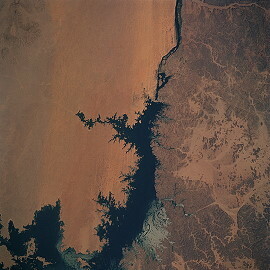 Experiment operations conducted around the clock on this flight, with the astronauts divided into two teams. James Halsell, Susan Still, Donald Thomas and Gregory Linteris were the "Red Team". 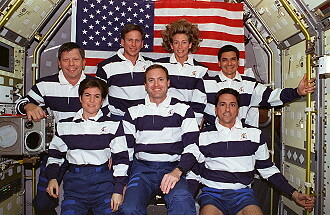 The "Blue Team" consisted of Janice Voss, Michael Gernhardt and Roger Crouch. The Combustion Module-1 (CM-1) facility from the NASA Lewis Research Center housed experiments on Laminar Soot Processes Experiment and the Structure of Flame Balls at Low Lewis-number Experiment (SOFBALL). The Droplet Combustion Experiment (DCE) is designed to investigate the fundamental combustion aspects of single, isolated droplets under different pressures and ambient oxygen concentrations for a range of droplet sizes varying between 2 millimeters (0.079 in) and 5 millimeters (0.20 in). 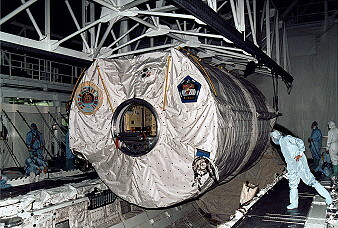 The DCE apparatus is integrated into a single width MSL Spacelab rack in the cargo bay. The EXPRESS rack replaces a Spacelab Double rack and special hardware will provide the same structural and resource connections the rack will have on the Space Station. It will house the Physics of Hard Spheres (PHaSE) experiment and the Astro/PGBA Experiment. The Electromagnetic Containerless Processing Facility (TEMPUS) is used for the experiments on nucleation in different flow regimes, thermophysical properties of advanced materials in the undercooled liquid state experiment, measurements of the surface tension of liquid and undercooled metallic alloys by oscillating drop technique experiment, alloy undercooling experiments, the study of the morphological stability of growing dendrites by comparative dendrite velocity measuremetns on pure ni and dilute Ni-C alloy in the Earth and space laboratory experiment, the undercooled melts of alloys with polytetrahedral short-range order experiment, the thermal expansion of glass forming metallic alloys in the undercooled state experiment, the AC calorimetry and thermophysical properties of bulk glass-forming metallic liquids experiment and the measurement of surface tension and viscosity of undercooled liquid metals experiment. The Orbital Acceleration Research Experiment (OARE) makes extremely accurate measurements of these variations and other disturbances, using a sensor called an accelerometer, and records them for later analysis. 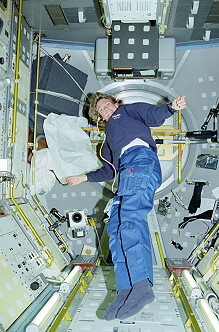 Analysis of these and other types of microgravity disturbances enables researchers to assess the influence of Shuttle accelerations on the scientific experiments carried onboard the Microgravity Science Laboratory. The Orbital Acceleration Research Experiment was a self-calibrating instrument that monitored and recorded extremely small accelerations - changes in velocity - and vibrations that are experienced during orbit of the Shuttle. At the heart of the instrument is a miniature electrostatic accelerometer that precisely measured low- frequency, on-orbit acceleration disturbances. The OARE was capable of sensing and recording accelerations on the order of one- billionth the acceleration of Earth's gravity - 1 nano-g - at a frequency of less than 1 Hertz, or once per second. 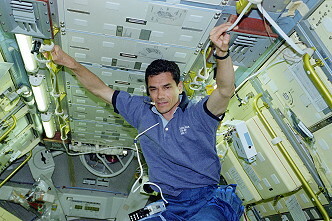 The Middeck Glovebox offered scientists the capability to conduct experiments, test science procedures, and develop new technologies in microgravity. 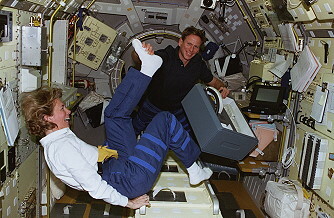 The facility enabled crew members to handle, transfer, and manipulate experiment hardware and materials that are not approved for use in the open Spacelab. In addition, the facility was equipped with photographic equipment and video and data recording capability, allowing a complete record of experiment operations. 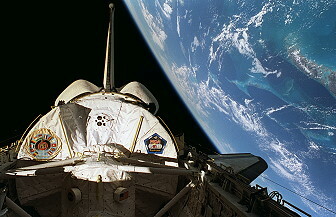 The Cryogenic Flexible Diode (CRYOFD) heat pipe experiment was a Hitchhiker payload flying on Space Shuttle Columbia during the STS-83 mission. Flight testing of heat pipes in space is being conducted to gain advances in passive thermal control technology. 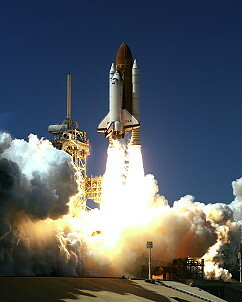 Engineers hope to transfer any technology achieved in space to commercial applications on Earth. There were two CFDHP units: one used oxygen as the working fluid to operate at temperatures as low as 60 Kelvin; the other used methane to operate at temperatures as low as 100 Kelvin. These heat pipes incorporated unique flexible wick designs and flexible bellows to permit easier integration into a spacecraft or with an instrument. Since they are flexible, heat pipes also permit pointing of the instrument. 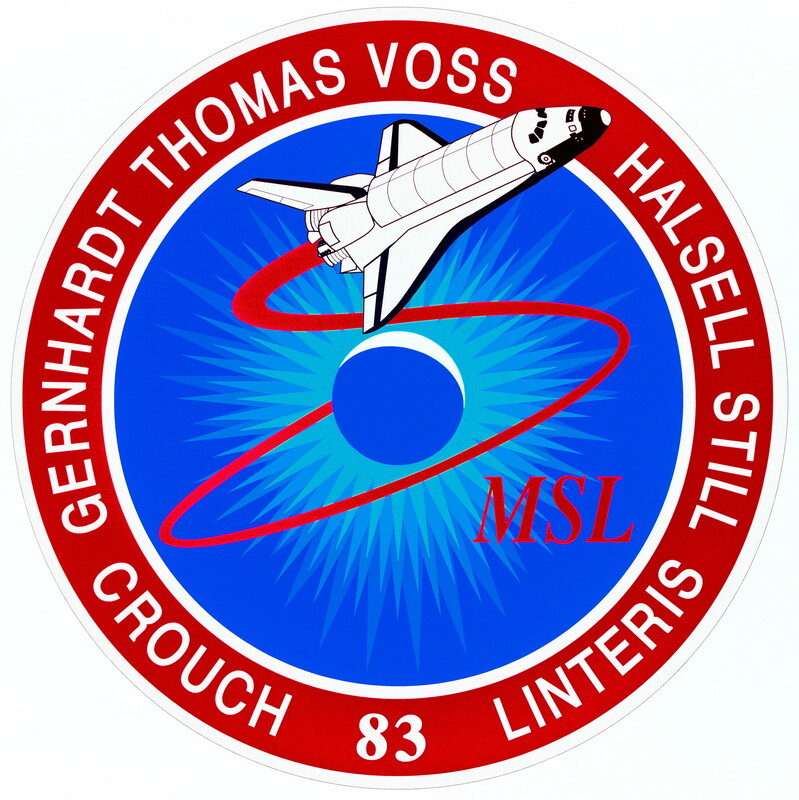 STS-83 included Amateur (or "ham") radio, where radio operators and students could attempt to make radio contacts with the orbiting Shuttle as part of a project called Shuttle Amateur Radio EXperiment, or SAREX. Amateur Radio has been flying aboard the Shuttles since 1983. 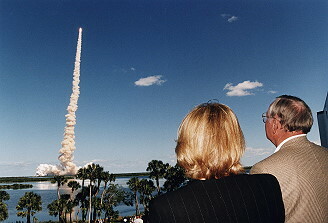 Ham radio operators from around the world pointed their antennas at the Space Shuttle Columbia, hoping to find the astronauts on-the-air. Some of these amateurs have volunteered to assist student groups who have prepared questions to ask the astronauts during specially scheduled contact times. 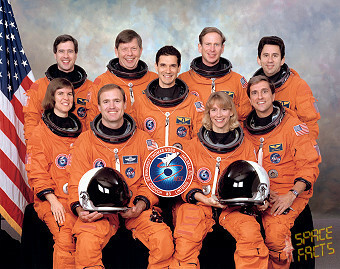 To make their radio contacts, the astronauts used a radio aboard the Shuttle on frequencies used by ham radio operators. To operate Amateur Radio from the Space Shuttle, one or more of the astronauts must have an Amateur Radio license. 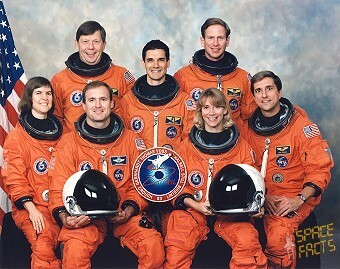 The STS-83 crew members who are licensed Amateur Radio operators included Commander James Halsell, Payload Commander Janice Voss, and Mission Specialist Donald Thomas. 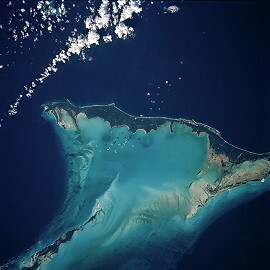 Prior to launch, and continuing through the early part of the mission, flight controllers on the ground were monitoring an anomaly within the electrical power generating Fuel Cell #2 (of three), making it appear that oxygen and hydrogen might be starting to uncontrollably mix, which could lead to detonation. Despite troubleshooting, the anomaly persisted and appeared to worsen. 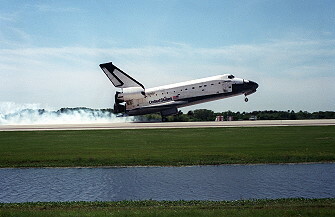 Mission Flight Rules required that the fuel cell be shut down once a certain voltage threshold had been crossed, and with only two of three fuel cells working, that invoked another Flight Rule which required the mission be terminated early (loss of a second fuel cell would require severe and dangerous powerdowns, though the shuttle operates normally on two). 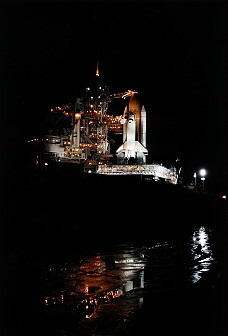 The mission was aborted due of this fuel-cell failure (third Minimum Duration Mission in the Shuttle history). Originally the mission was scheduled to last 15 - 16 days. The experiments were only performed on a small level. 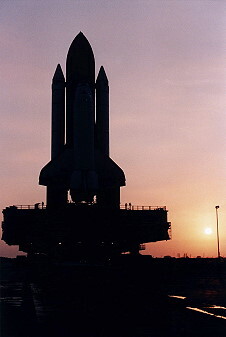 Upon landing, mission managers decided that Columbia did not need to be processed per a typical end of mission maintenance flow. Instead, they called for an unprecedented reflight of the same mission, once the normal processing could be completed (refill the propellant tanks and other consumables like oxygen, hydrogen, nitrogen, and water, change out the main engines, etc.). 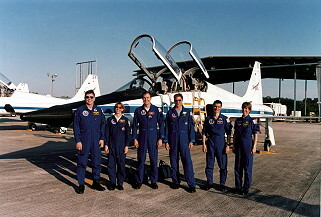 The same crew flew the reflight, which was designated STS-94 (the next available unused shuttle mission number at the time), three months later, in July 1997. 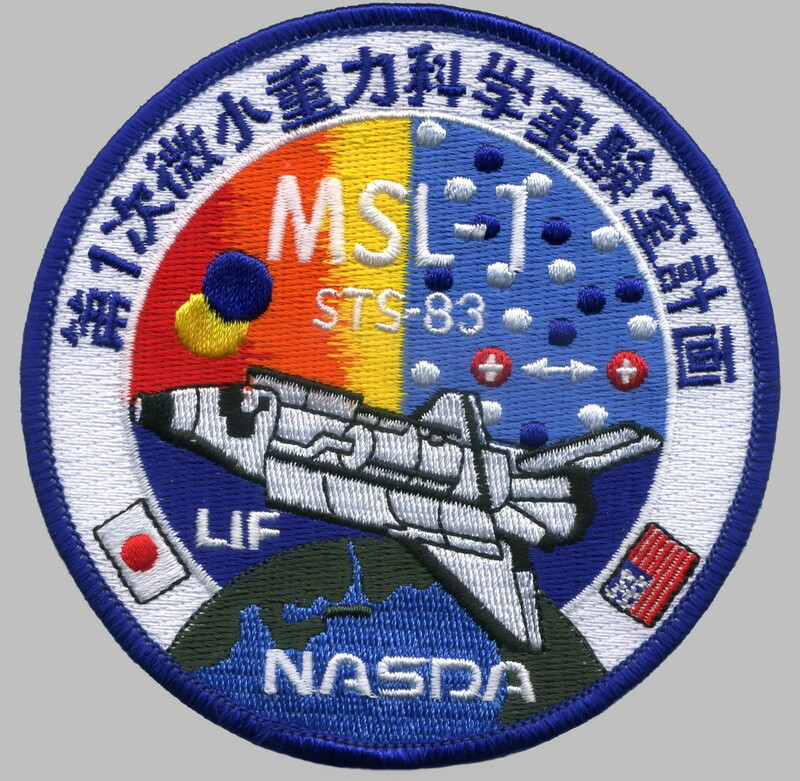 The crew patch was updated with the reflight, changing the outer border from red to blue and changing the flight number from 83 to 94.